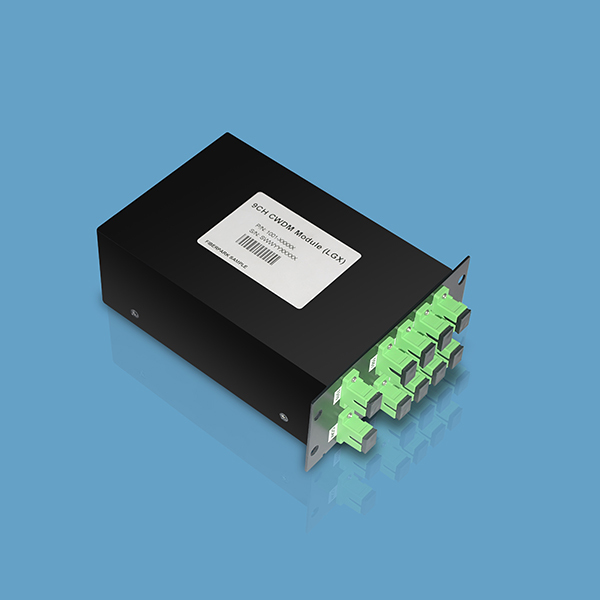 CWDM & DWDM modules are based on Thin-Film Technology and All-Glass Packaged platform, keeping the device in compact size and excellent performance. Excellent device qualification test ensure the long term performance of module products in field applications. 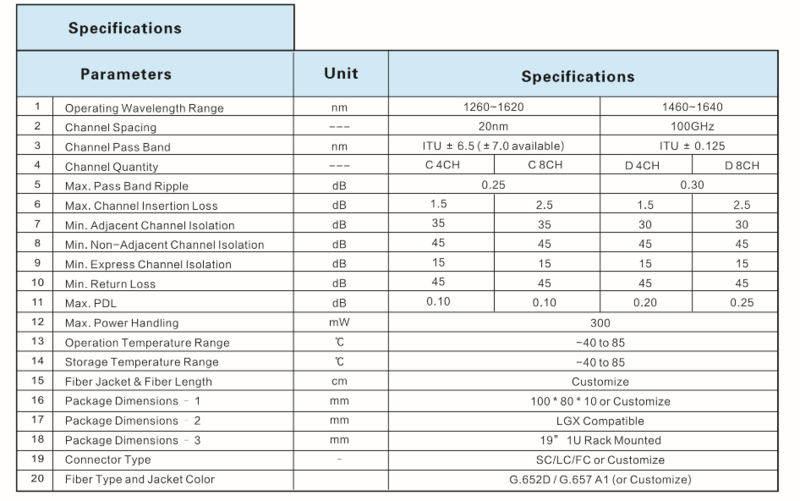 Remark: 0.3dB will be added on IL with connectors pairs included.